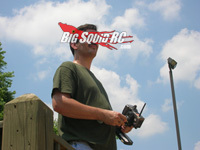 ASK Cub Reporter, 08.01.2013, Version- So Many Questions, So Little Time « Big Squid RC – RC Car and Truck News, Reviews, Videos, and More! So I figured I would come to the experts to get a real answer to my question. I purchased a Venom 8.4v 5000mAh 7-Cell for my Traxxas Slash last summer. I have probably run about 20 cycles thru it and suddenly the battery won’t take a charge anymore. I hook it up to my charger and it tells me it is full but when I put it into my slash it rolls a few feet then dies. I always follow the proper charging instructions and take good care of my batteries. I also use a nice charger for Lipo, NiMH batteries that I can control the power inputs. I am currently using the original Traxxas battery that came with the truck on the same truck and charger and it’s no problem. So the question is: Can I do anything to fix the battery like discharging it and recharging again or am I stuck with a dead battery? Cubby– Congrats Sean, I proclaim yours as “letter of the month” thus entitling you to an uber new BSRC t-shirt. Shoot Brian your snail mail and shirt size for the hook-up. So… you’ve got a Ni-MH that won’t charge anymore. If your other pack works fine and this one is having issues, yes, it sounds like one (or more) cells have gone bad in the pack, but lets try something first. Is there any shot of reviving the bad pack? Probably not, but give this a try first. You say you’ve got a “nice charger”, lets hope it’s nice enough to have a discharge function. Attempt to discharge your bad pack at 5 amps, down to .8 volts per cell. Once the discharge is over and the pack has cooled, attempt to re-charge it, this time at a very slow rate, such as 1 amp. If the pack still refuses to charge, you can either attempt to isolate and discard the bad cell (or cells), or just call it a day and get a new pack. Best of luck, enjoy your new uber shirt, and you should really think about upgrading to some Lipos. HPI do a couple of electric powered 1/5th scale models, the Baja 5B flux and the Super 5SC flux. How do they rate as bashers and which one is best? Also, when are you reviewing the Thunder Tiger eMTA? Cubby– Hey Gary, thanks for taking the time to shoot me an email, hit Brian up for your sticker pack. Normally I dislike emails with the words “simple questions” in the title. Typically those mean hours of pondering and cursing. But… for perhaps the first time ever, yours are indeed simple to answer. Are the HPI Baja 5B and 5SC Flux good bash machines? Pretty simple answer here, I have no idea, we’ve never reviewed them. The only 5th scale HPI we’ve reviewed was the original gas 5B, and it rocked. We still beat on our review 5B on pretty much a weekly basis. However, we don’t have either of the Flux 5th scalers in house, I’ll shoot out a request, but no promises if we’ll get them reviewed. Next, when are we reviewing the Thunder Tiger eMTA? Well… we posted the unboxing pics back in March and have been reviewing it ever since. I haven’t been a part of that review, so Brian and Bill must really be going the extra mile on that one. I’ll crack the whip on them this weekend at our big Bash & Swap Meet in Orland Park to see if they can get that review wrapped up. That’s it for this week, submit your questions and random rants to Cubby at BigSquidRC.com. If your letter hits the big-time you get a free sticker pack, if I proclaim yours as “Letter of the Month” you win a free t-shirt. Yay. If your email doesn’t get answered don’t write back flip’n out, my letter screener immediately deletes those, you are essentially wasting keystrokes, and really that’s my job.